From Pierre Cardin to Ann Getty, Interiors: The Greatest Rooms of the Century collects hundreds and hundreds of stunning homes from the fashion elite to Hollywood icons and much much more. Definitely a coffee table book that belongs in every design-savvy home. "Interiors: The Greatest Rooms of the Century is the ultimate global celebration of residential interior design and decorating. 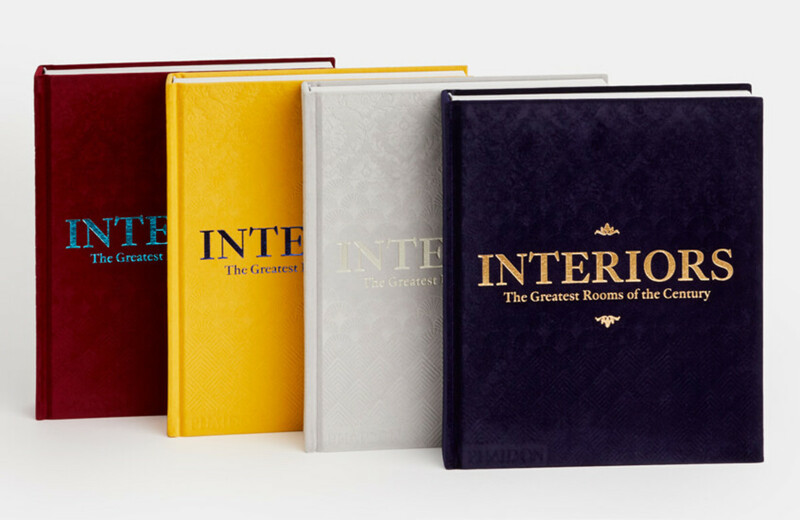 With 400 rooms organized by designer from A-Z, the book goes beyond decorators, designers, and architects to highlight exquisite interiors designed by fashion designers, artists, style icons, and film stars who have made a unique contribution to the world of interior design. Covering work from the beginning of the twentieth century to the present day, the book features everything from extraordinary chateaux, stunning town houses, and luxury penthouses – to desert ranches, beach houses, and tiny jewel-like apartments in more than 25 countries. This is the essential inspirational source book for design aficionados, anyone who is interested in beautiful rooms, and for everyone who cares about the spaces in which they live."